The Most Epic Opening of Ancient Reliquary Keys! As you no doubt know by now, we do not just offer you a safe place to buy Path Of Exile Orbs online. We are also really big fans of the games ourselves. So big that even when we are not at work we are looking for fun and cool things about Path Of Exile. 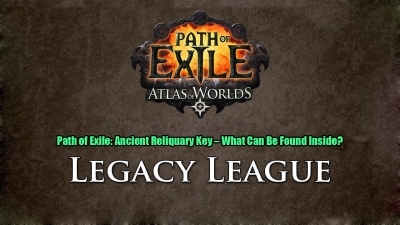 Well like the rest of you, we have had a lot of fun this Legacy League trying to get as many Ancient Reliquary Keys so we can get in there and score some Relic items. Well in looking for a few tips we came across a video by YouTuber Etup0 who has 144 Ancient Reliquary Keys which is a full Stash Tab and he opened them all up on video. Here are a few of the highlights of the video and a few of the things that we wish we got with our Ancient Reliquary Keys. 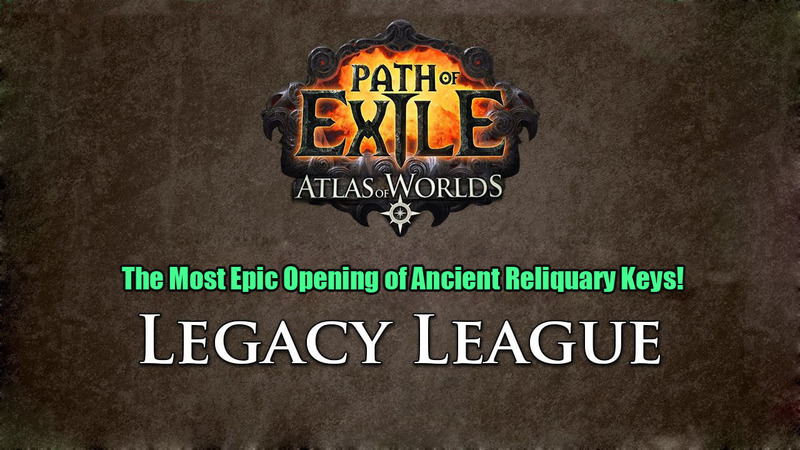 Let us know in the comments section what are some of the awesome Relic Items you have gotten during this Legacy League. Chill Of Corruption: There was a few people in the office who were a little jealous of this one. This was a really cool pick up as it gives you an extra 50 percent chance of getting another Vaal Soul with each mob you shatter. This happens at around 20 minutes into the video and he does not seem that impressed with his pick up. Eternal Orb: This was one of the items that Etup0 got which did make him pretty excited and to be honest we can see why. It currently has a ten bucks value rate and is pretty darn sought after by fellow POE players. To see something like this just appear was pretty cool. Voidheart: Here is another impressive score, Voidheart. He also mentioned that Blackheart is not available in this which was pretty interesting to hear. This was a really cool score and as it adds to the physical damage you deal it is very popular. Lightning Coil: Lighting Coil is something that people here in the office have mixed feelings about. The Legacy League variety of it was pretty cool and he did seem pretty happy to get this as it is quite rare. These are just a few of the things we thought were pretty cool in this video, but the video in general is something that seems to have picked up a lot of attention in the POE community. Some people are saying it is him showing off or what is the point? But at the end of the day, POE should be all about having fun and wasting an hour watching someone with an insane amount of Ancient Reliquary Keys was something that we found pretty fun. It is a nice break from just worrying about where to buy POE Orbs and the more, less than fun side of the game. Still, we would love to hear from you other players who have checked out this video. What did you think? What were some of the items he got that surprised you? Do you think he got good value and in general do you think videos like this are good for Path Of Exile? Check Out These Awesome Legacy League Highlights! Hello friends. 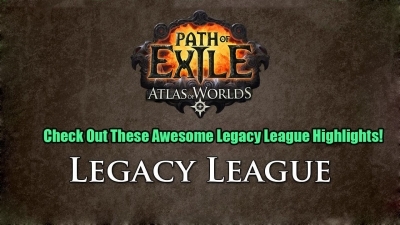 Take a break from looking for fast and safe POE currency as today we are sharing with you some great Path Of Exile Legacy League highlights, from Path Of Exile YouTuber, Midise. Path of Exile: Ancient Reliquary Key – What Can Be Found Inside? While I could go on and on about all the changes/additions that were added in update 2.6, I’m mainly going to focus on just the one: the addition of the Ancient Reliquary Key and what sort of effect it could have on you as a player, along with your character as well. 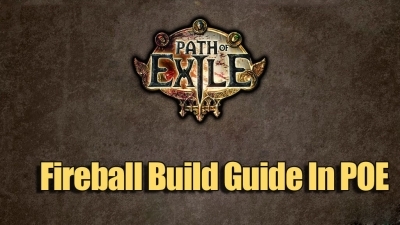 Fireball Build Guide In Path Of Exile! This is basically the way to start your Fireball build and from here you will have a really good grasp of the class and be able to add new items and skills to really tweak it to your playstyle. 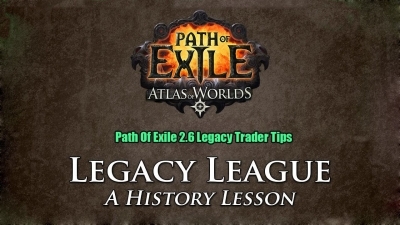 With the fairly recent 2.6 Legacy League many gamers are itching to buy Path Of Exile currency in case there is some cool new stuff they want and they need to barter for it. We are having a fantastic time with this Legacy League and today we wanted to share with you what the Legacy League Stones are and also give you a little bit of an idea about what exactly you can expect when you are running these on any map you are on.